In the multiple versions of Manus Peak can you please move the railgun installation that has a direct line of sight to the Alpha control terminal? I've gone several matches the past couple days where on these maps not one person could hack alpha because someone was manning the railgun installation. 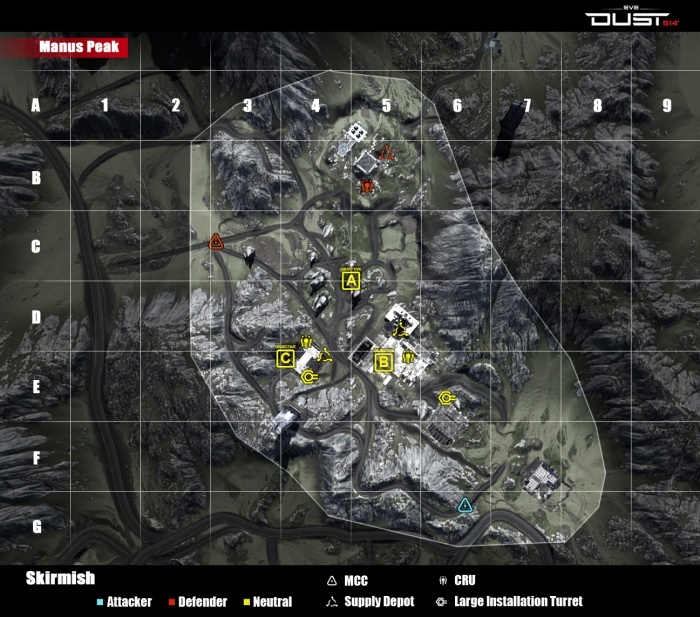 No other control terminal has that kind of cover fire on this map or any other for that matter. Hey X-eon, could you please point out on the map which sector the railgun in question is at?